The third Bangor Comic and Toy Con was held over Memorial Day weekend - and here's my short but sweet rundown. 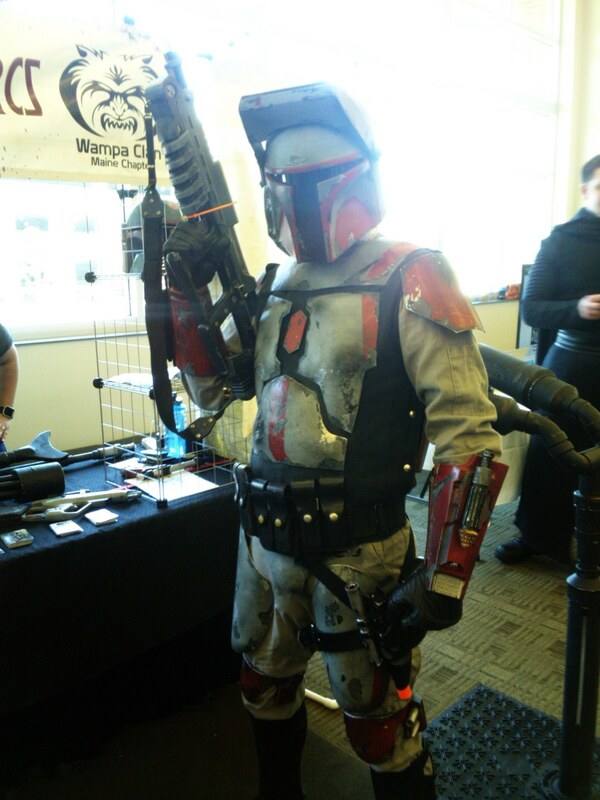 The third annual Bangor Comic and Toy Con was held over Memorial Day weekend, after months of build-up and changing of dates due to issues involving scheduling at two venues. Having attended the last two, I once again made the trek upstate to go to the convention. It was smaller in scope but larger in terms of attendance, and proved to be yet another great time. With the show being a lesser-known con and an evolving event, travel log type discussion seems in order. It was a much smaller event than Boston Comic Con, an event I have previously discussed – but still, it's worth it to talk about. The first night, Friday, was primarily for us to pick up our VIP passes and get a feel for what the con would be set up like – the convention is held in a ballroom just down the hall from the main auditorium at the Cross Insurance Arena. While it would have been nice to be in the larger venue, the smaller room made conversations much more common and possible to see everything without getting overwhelmed. For the first time at this show, there were people selling Lego minifigures, a top selling item at Boston Comic Con (see my previous article on that convention). We stayed for about an hour, walking around and figuring out what the plan would be for the next two days. Not too many purchases were made, but we were given random free mini-poster sized prints, among other items. Free art is always great to have, especially art that fits perfectly with my other nerdy posters. We left, had dinner, wandered the Bangor Mall – where we discovered that Hot Topic put Twilight Funko Pops on clearance, a fitting end for the almost-forgotten series. After that, we settled back into the hotel to relax, play some Cards Against Humanity, and get some rest. Saturday was practically an all-day affair. Cosplays were worn – myself as the original 1991 animated Gaston from Beauty and the Beast, and my sister as Barb from Stranger Things. Upon getting in half an hour early due to VIP badges, we went back to the con floor. 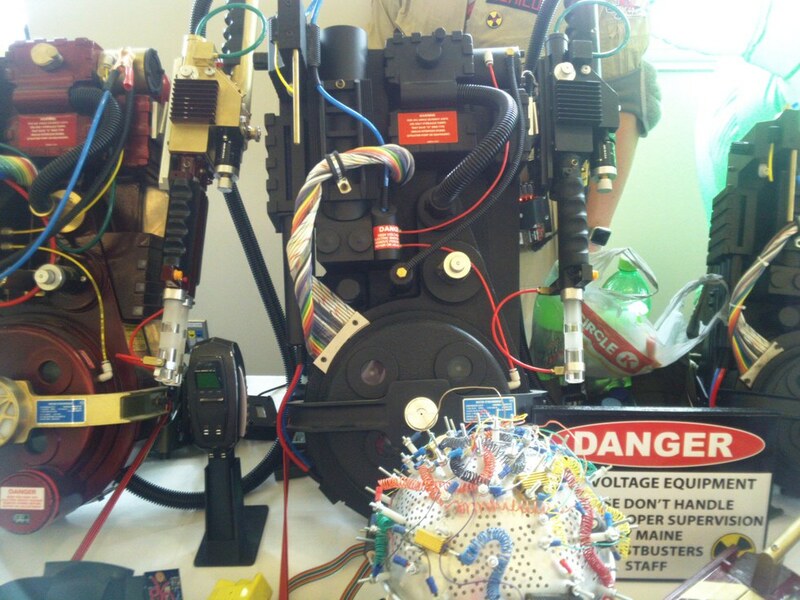 Outside the main ballroom, several artists, dealers, and costuming groups –one, the Maine Ghostbusters, brought a fully-street legal Ecto-1 car. The crowds were larger, and oftentimes we had to use an alternate route to avoid the people that were filling the thin aisles between the tables in the dealer's room/artist alley. There was a good balance between comics and toys, with many dealers selling both while specializing in one or the other. There, I met two actors from my childhood – Steve Cardenas and Johnny Yong Bosch, the second Red and Black Rangers in Mighty Morphin' Power Rangers. Also, I met comic writer Larry Hama and Jeff Kline, the showrunner of Transformers: Prime, one of the more recent Transformers cartoons. All the celebrities were incredibly nice, and it seemed like they were having just as much fun at the con as the attendees were. The other celebrity guests included Kel Mitchell (my sister asked “why did they get the guy from Game Shakers, and yes I was disappointed that was all she knew him from) and voice actor Jim Cummings, best known for voicing Winnie the Pooh. Artists were doing commissions, people were talking about their interests and coming together in the name of a comic convention. Overall, it was a pretty average Saturday for a convention. Arriving on Sunday, the plan was to hit up as many deals as we could – word of advice, if you go to a convention, save the most of your money for Sunday, as you'll get more for less because nobody wants to bring home all their merchandise. Anyway, we walked around, I bought more comics (I may or may not be a comic addict), including some from local indie writers and artists. This was a much slower day, leading to more conversations with the vendors – I spoke with several artists and the costuming groups. After looking through a selection of comics, I stumbled across the table for professional cosplayer Ani-Mia, and we had a great conversation about the Maine weather and how the seasons don't exactly line up with the conditions. Throughout the rest of the day, we were picking up more items and no dollar comic bin was left unchecked. One toy dealer said all prices were negotiable, though with the Sunday deals he was making, negotiations were barely needed. When all was said and done, we took a final walk around the con floor, and my final purchase of the day was Amanda Kahl's adaptation of The Raven. I highly recommend Cornerstone Creative Studios, Escape From Jesus Island and The Infernal Pact – all local comics that are on par with mainstream publications. Indie artists were very common at this convention, and they really do need all the support they can get – because you never know who might get a job at one of the big publishers. 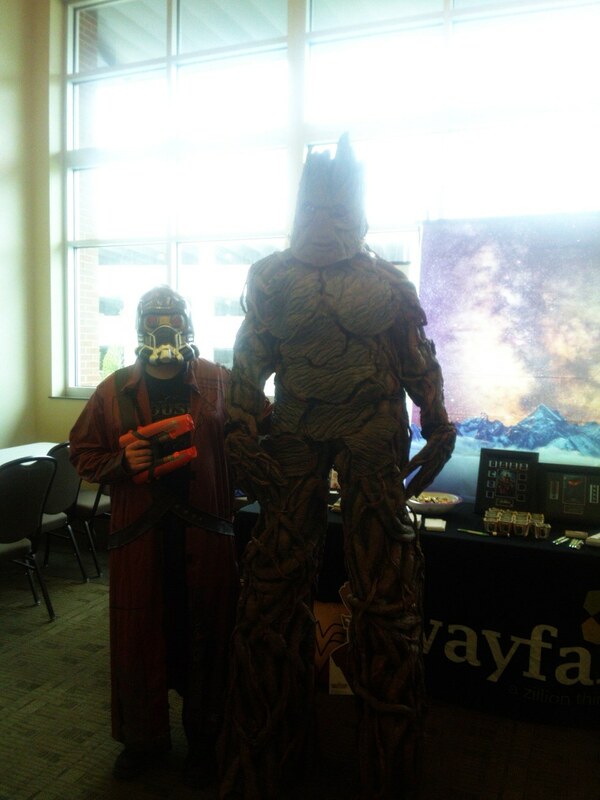 This was yet another great year at Bangor Comic and Toy Con. From the usual celebrity autographs to the conversations with vendors and artists, there's always something interesting going on at a convention. Of course, not everybody is up for dealing with massive crowds and spending more money than they planned on spending, but for those that do, it's a great experience. Maine isn't really well known for their nerdy culture, but for one weekend a year, we get to see that subculture come together in Bangor, just miles from Stephen King's house. In August, I'll be attending Boston Comic Con, and I'll have more stories to tell of that weekend. For now, it's back to working on costumes and planning out the trip – then it all cycles back around, getting ready for the next show.